SCPA's philosophy of the arts curriculum SCPA emphasizes the importance of rigorous artistic training and discipline in the classroom, in rehearsal and on the performance stage. With our new world-class facilities at The Erich Kunzel Center for Arts and Education, we use all the tools within reach to teach, inspire and prepare our students to be successful artists and lifelong learners in a highly competitive world. SCPA's arts curriculum is one of the most comprehensive in the U.S. The primary arts curriculum features instruction in dance, drama, instrumental and vocal music, and visual arts. Students in grades K-3 have opportunities to take specialized musical study in violin or cello with our certified Suzuki Strings Program. Each primary grade level performs a musical variety show during the school year. 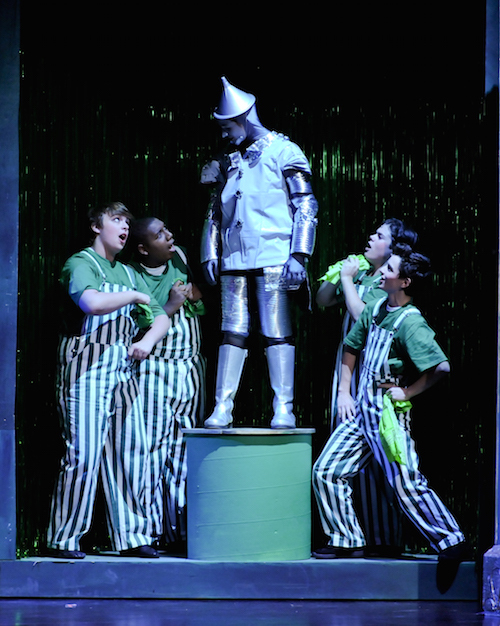 In grades 4-12, the arts curriculum features rigorous preprofessional arts training in seven artistic areas including Creative Writing, Dance, Drama, Instrumental Music, Vocal Music, Technical Theatre and Visual Art. Upon graduation, SCPA's arts students receive a CPS High School Diploma and a SCPA Artistic Diploma. Many arts students at SCPA in grades 9-12 receive Ohio Career Technical Education to fully prepare them for careers in the arts. All SCPA students receive quality training from resident faculty members who are both highly skilled professional artists and performers, and certified teachers. Students in the high school orchestra program have the unique opportunity to work with professional musicians from the Cincinnati Symphony Orchestra as part of the Corbett Foundation Strings Artists-in-Residence Program. Through a generous endowment from the Corbett Foundation, SCPA brings prominent string musicians from around the region to mentor our advanced students in string quartet and solo playing. SCPA is extremely fortunate to have the Mayerson Artistic Excellence Program. Through a generous grant each year from the Mayerson Foundation, high school students have the unique opportunity to work with visiting artists from around the world. The Mayerson Artistic Excellence Program at SCPA brings prominent actors, musicians, singers, visual artists and writers to SCPA to perform for, interact with, and inspire our students. The program also funds the Mayerson Brass and Percussion Programs at SCPA. SCPA is proud to feature an ongoing partnership with the University of Cincinnati College Conservatory of Music. Faculty from the CCM Brass Program come to SCPA once a week to mentor our advanced students in ensemble and solo playing. Our K-3 Certfied Suzuki Strings Program is an ongoing partnership with the CCM Preparatory Department. The annual Corbett-Mayerson competition celebrates artistic integrity. Open to juniors in all artistic fields, the competition spotlights student artists who have displayed excellence in their work. Capital Grant Support provided by ArtsWave.